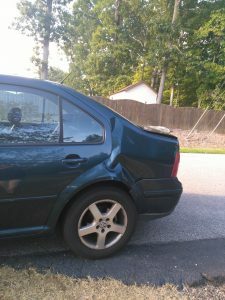 On September 12, Laura got rear-ended in the Jetta on her way home. She did not get injured, but she did have a sore neck for a while from the whiplash. Jacob was riding in the passenger seat, and he was not injured, either. The car was in pretty bad shape. In the collision, the car was pushed into another car in front and so both front end and back end were badly damaged. The car was eventually totaled by the insurance company. Shame, because the car was still running fine, even if it was a bit worn out cosmetically. Well, OK, so the electrical system was starting to act up a bit. 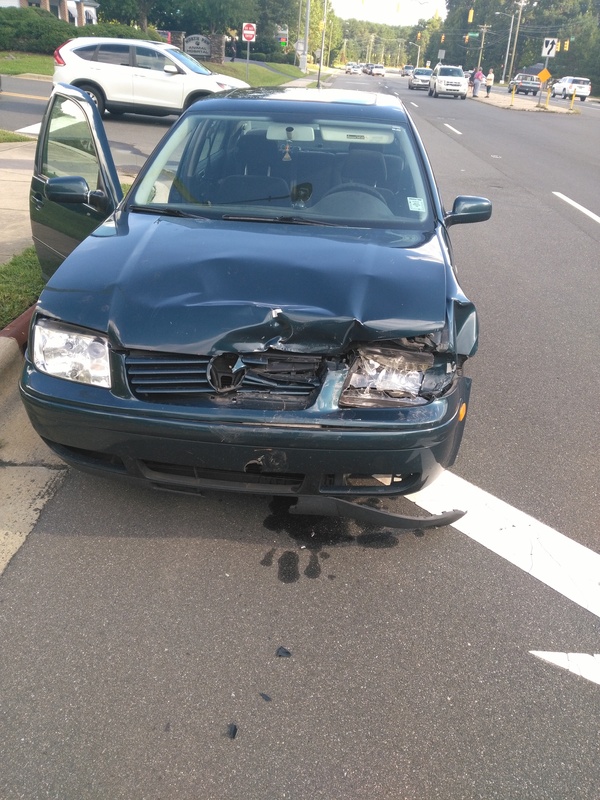 But be that as it may … The Jetta is gone now. And it did a good job protecting Laura and Jacob in the accident. 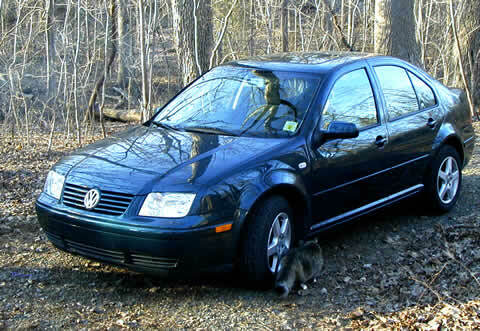 Below is a photo from when I had just bought it in 2004. This entry was posted on Sunday, November 18th, 2018 at 8:23 pm	and is filed under cars. You can follow any responses to this entry through the RSS 2.0 feed. You can skip to the end and leave a response. Pinging is currently not allowed.